The votes are in and we’ve got a winner. In the week voting was open we received more than 7000 votes, but it came down to a dead heat right to the very end, with the top two entries separated by a scant 46 votes. But there can only be one winner (okay, there are three). Of the top ten finalists, the top vote getter will get a Palm Pre 2 (SFR, an unlocked device, or a Verizon device when available), while numbers two and three will receive $50 for the PreCentral Store. 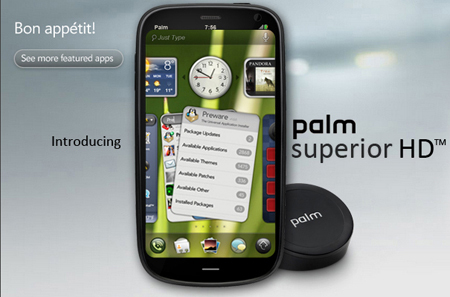 Without further ado, the winner of the PreCentral Mock-Up The Next Palm Device Contest is the Palm Pre HD, by bhughes719! Coming in at a very close second was Jose Barajas’ Palm Superior HD, with Virox’s Pre 2, Palm Pad, and Palm Watch trifecta slotting in at third. Congratulations to all entrants, finalists, and winners - there was a lot of great work submitted and we wish everybody could have won. And Palm, take note, as popular as the portrait slider keyboard is, there’s clearly also demand among the electorate for horizontal sliders and slate devices. Check out the winning entries again after the break, and feel free to take a gander at all the other entrants in the original entries post. Congratulations again to our winners! 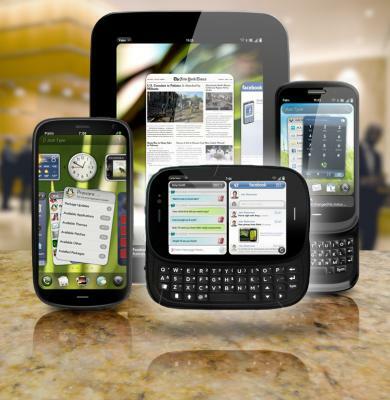 Packing a 3.8-inch AMOLED screen with buckets full of pixels, the Pre HD turns the keyboard onto its side with a new horizontal mode for side-by-side webOS cards. The Pre HD also gains a Micro SD slot, HDMI out, and a beefy 1800mAh battery. The Superior HD lives up to its name with the first high definition screen in a smartphone. 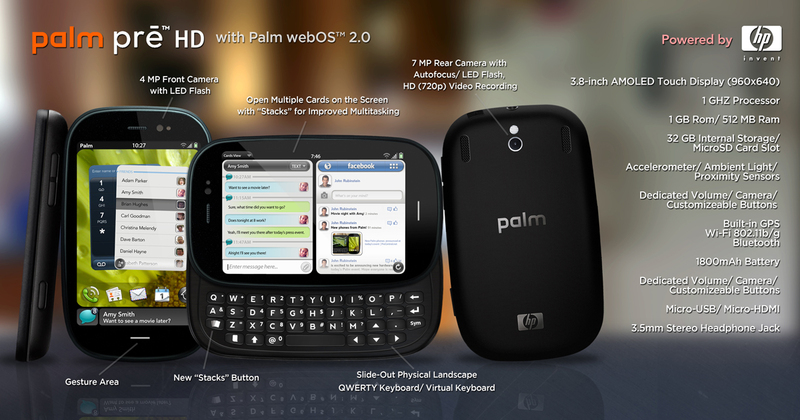 Powered by webOS 2, the extra screen real estate is used for the new WidgetDeck, which rests right above the stacking and minimizing cards view. The next generation in personal computing, the Pre 2, Pad, and Watch, all from Palm conspire to take you to the next level of connectivity. All move up to modern standards and then take a leap past, with the Watch in particular pushing the edge of modern consumer technologies with a flexible LED screen for notifications, reminders, and media controls.